Killer of six-year-old Alesha MacPhail has been named as teenager Aaron Campbell. Image: Police Scotland. He said: "I can't think of a case in recent times that has attracted such revulsion. On Thursday, Lord Matthews told Campbell he had committed some of the "wickedest, most evil crimes this court has ever heard". During the trial pathologist John Williams told the court Alesha had 117 separate injuries, and a post-mortem examination he conducted indicated she had died from "significant and forceful pressure to her neck and face". 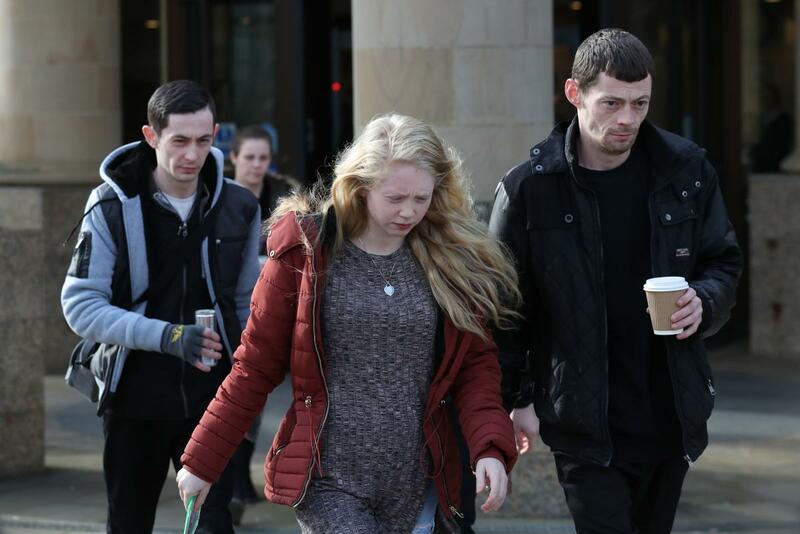 The trial heard Alesha was days into her summer holiday on the island with father Robert MacPhail, 26, and grandparents Angela King and Calum MacPhail when she was snatched by Campbell. Georgina Lochrane, the mother of Alesha MacPhail, leaves the High Court in Glasgow, after the judge's decision to name Aaron Campbell. Image: Andrew Milligan/PA Wire. After the trial, the schoolgirl's family spoke of their heartbreak at losing Alesha. Her mother Georgina Lochrane, said: "Words cannot express just how devastated I am to have lost my beautiful, happy, smiley wee girl. The MacPhail family said: "We can't believe that we will never see our wee angel Alesha again. We miss her so much. "Alesha may be gone from our lives but she will always be in our hearts."